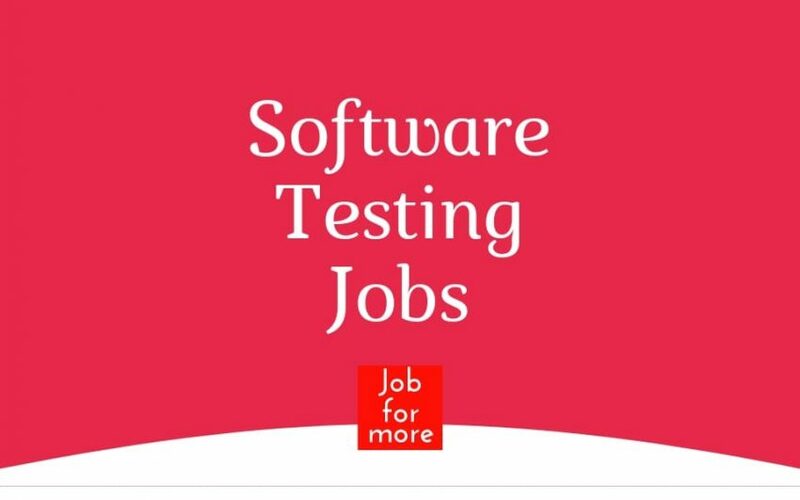 Are you looking for Manual Testing Jobs in Chennai, Hyderabad, Delhi NCR, Gurgaon, Noida, Pune?? and Java Jobs in Hyderabad, Ahmedabad, Pune, Trivandrum, and Bangalore?? Minimum 3 to 5 years of experience in Web Design/front-end interface development. Web Designer Trainee (Exp:0 to 6months or Freshers only). Mobile App Developer (Exp: 0-1 year or Freshers only. Must have Good Knowledge in Selenium with JAVA. Must have Good Knowledge in Manual Testing. Good knowledge in Performance Testing. Familiar with CSS Framework like Bootstrap, Flat-UI & responsive design. Address: No 3A, KG Business centre, TTK Road Alwarpet, Chennai -18. Looking for candidates with Selenium with Java. Knowledge of software QA methodologies and Strategies, like Waterfall, V-Model. Prepare, Review and Execute Test Script based on Requirements. Can perform Smoke, Regression and System Testing. Design and develop Automation Test Scripts and manage testing activities using Selenium. Modify and Execute Automated and Manual Test Scripts for different modules using Selenium. An individual will be responsible for developing manual test scripts. Responsible for executing automated and manual test cases. Good Knowledge in SVN, JIRA, web service testing & Confluence. Good Knowledge in ALM (Application Lifecycle Management). Good working knowledge of Agile methodology and process. Working knowledge on SoapUI and Service tests. Knowledge & experience in Manual Test Cases, Test Scenarios Development, Scripting. Should have knowledge of SQL. Excellent programming skills with good understanding of OO programming concept. Address: Plot # 304, Sarkhej-Bavla Highway, Changodar, Ahmedabad Gujarat- 382 213. Hands on experience in Servlets, JSP, EJB and one or more frameworks like Struts or Spring. Knowledge in writing queries, stored procedures, functions and triggers matching requirement, and standards. Prior J2EE application development experience on Tomcat, JBoss Application Server or other similar J2EE application server. Should have a good understanding of Object Oriented Programming. Indusa Infotech Services Pvt Ltd. Solid practical fundamental knowledge of algorithms, software engineering, and design. In-depth knowledge of a modern framework such as React or Spring (or both). An expert in the full stack, back-end, or front end. Fundamental understanding of databases (e.g. MySQL, Postgres, others). Recommend, justify, and implement major changes to the web application architecture. Provide technical leadership and expertise during the development/implementation phase. Serve as the mentor for other engineers on the development team. Ability to communicate technical design concepts to business and technical stakeholders. Expert programmer in Java and experience writing SOAP and/or RESTful web services. Experience working with SpringBoot/Tomcat, Glassfish and/or Weblogic application servers. Experience with container and orchestration technologies like Docker, Kubernetes. Experience with virtualization technologies like Oracle VM and VMWare. 4-10years of experience in Java/JEE enterprise application development. Experience in EJB, JPA, Hibernate, JAX-RS (Rest API). Experience in frontend development either using Angular or any other technology like JSP/JSF etc. Good UI skills using CSS / SASS / Google Material Design / Bootstrap.